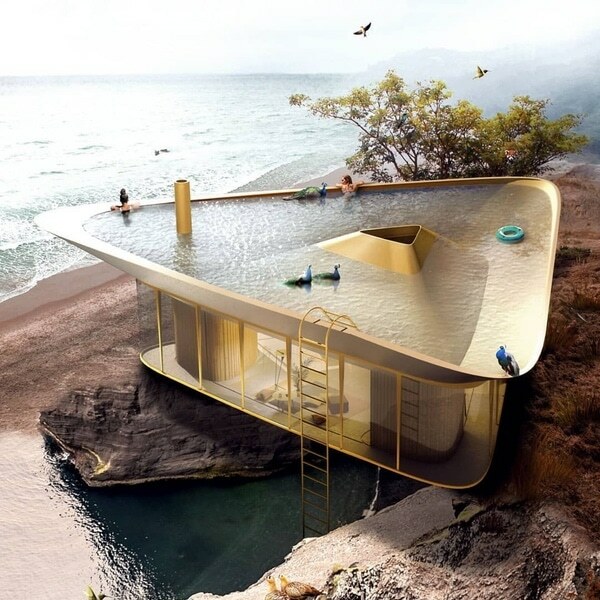 Youth Hostel / Design Hotel by Anna Heringer. 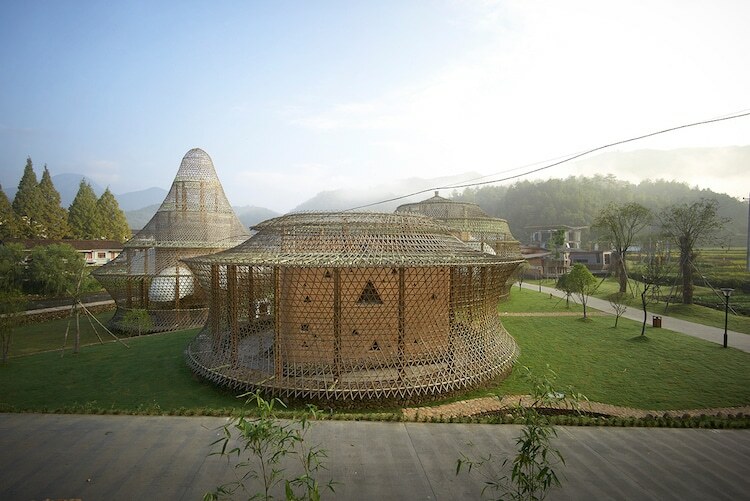 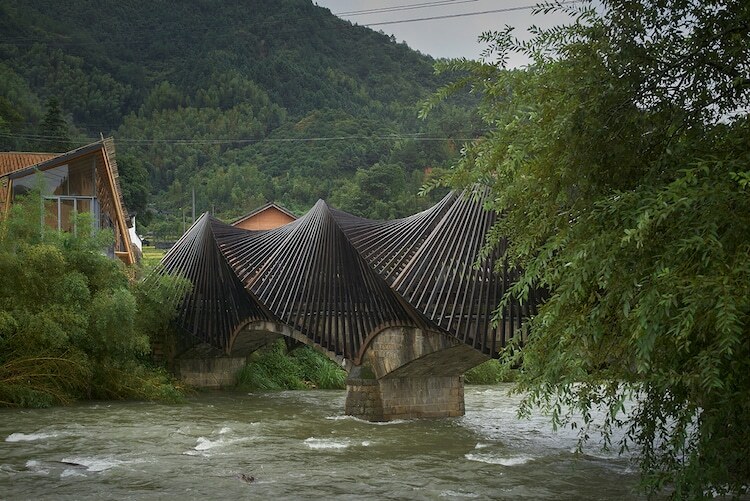 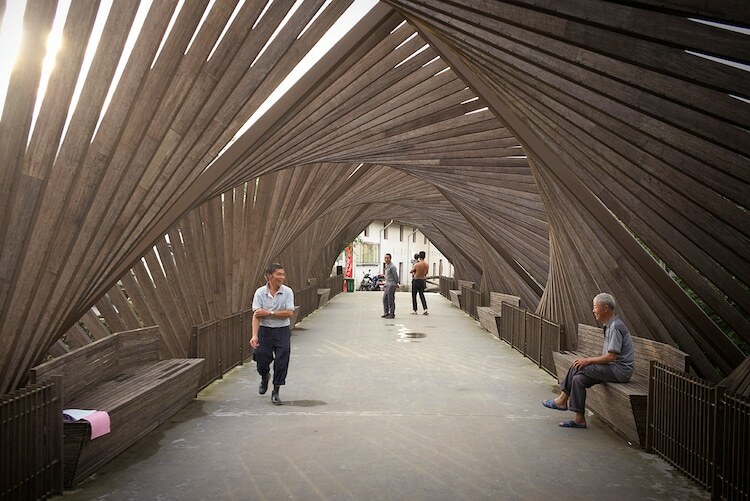 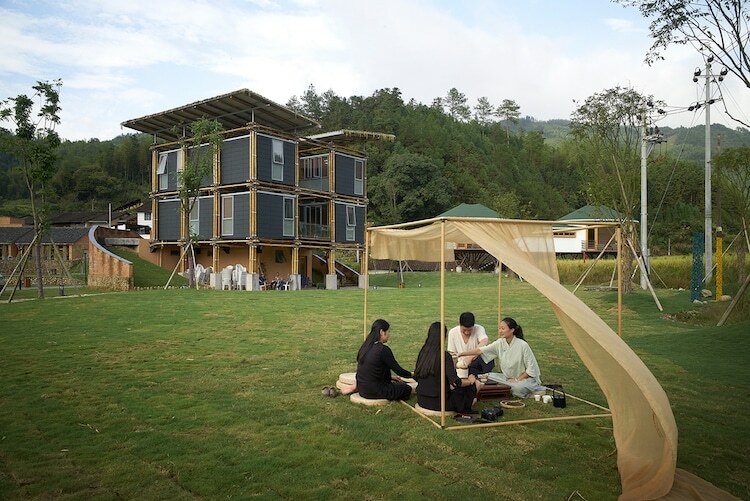 Celebrating bamboo as a construction material, the first International Bamboo Architecture Biennale took place in the small village of Baoxi, China in 2016. 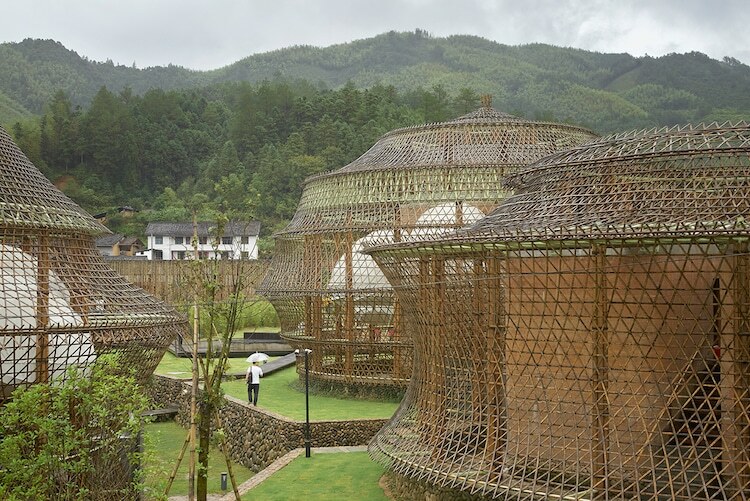 The mainly agricultural mountain village is located twelve hours from Shanghai and is now home to these incredible structures designed by twelve international architects. 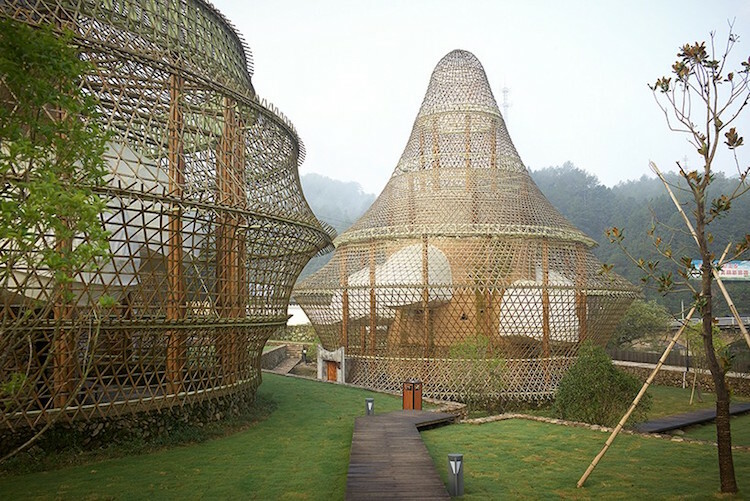 Instead, the Bamboo Biennale demonstrates that contemporary architecture and traditional materials are not mutually exclusive. 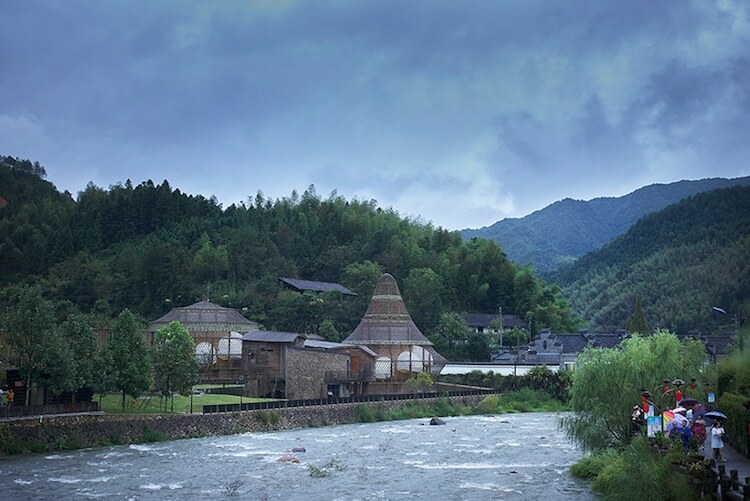 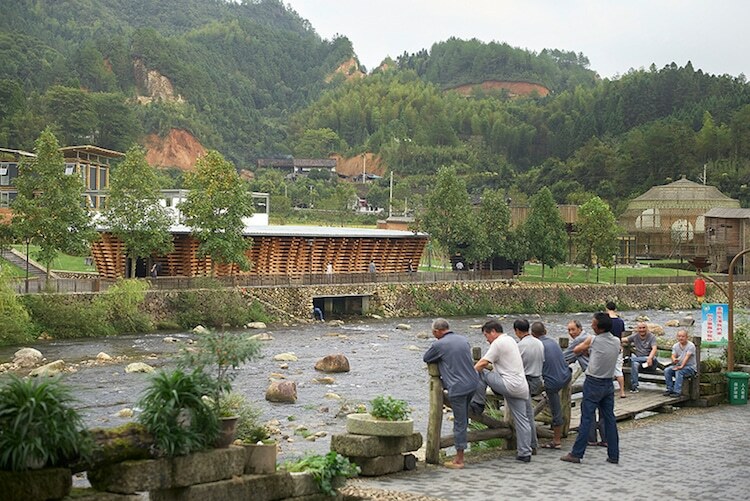 Among the buildings are a youth hostel, ceramics museum, and bamboo bridge. 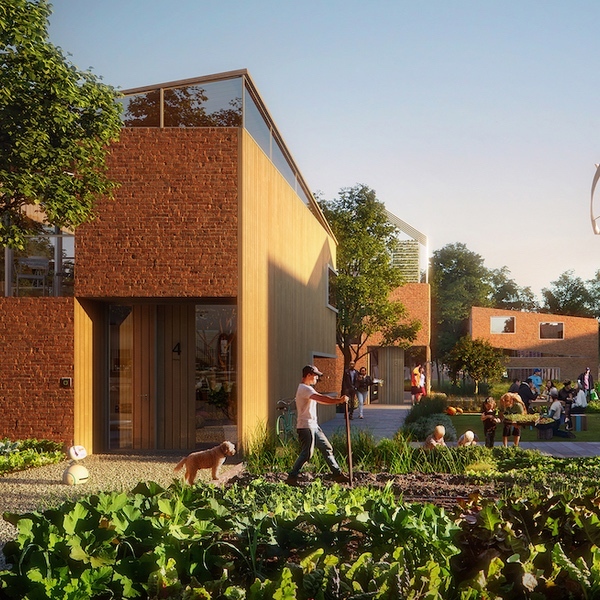 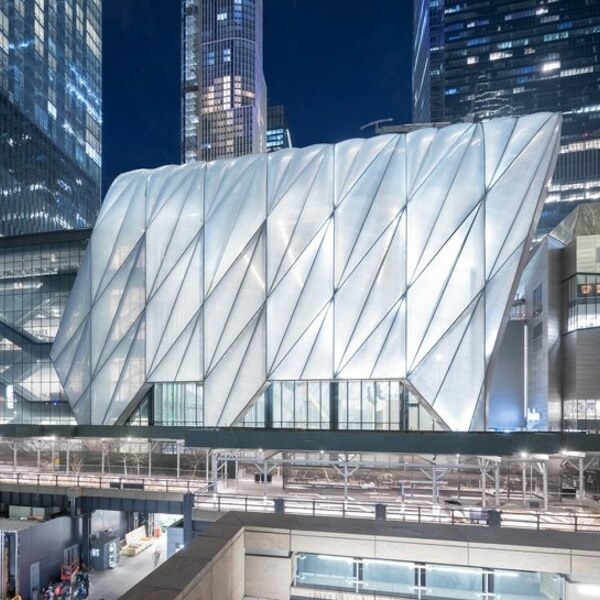 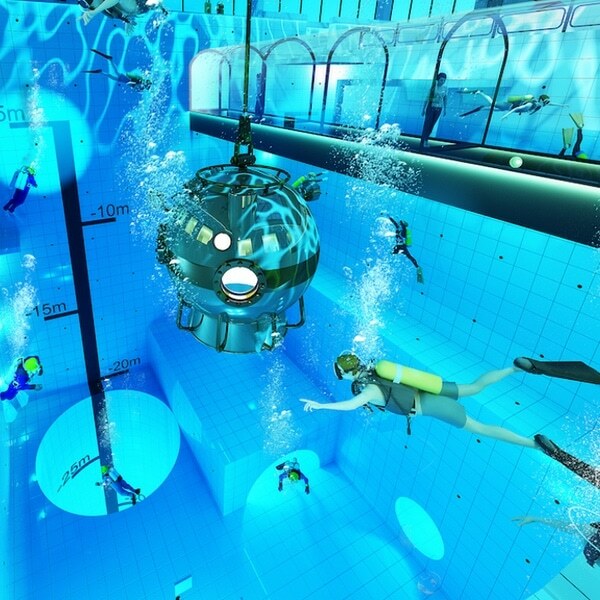 This contemporary cluster of architecture is an innovative way to renew the village, giving something back as well as adding value in the form of new tourist destinations. 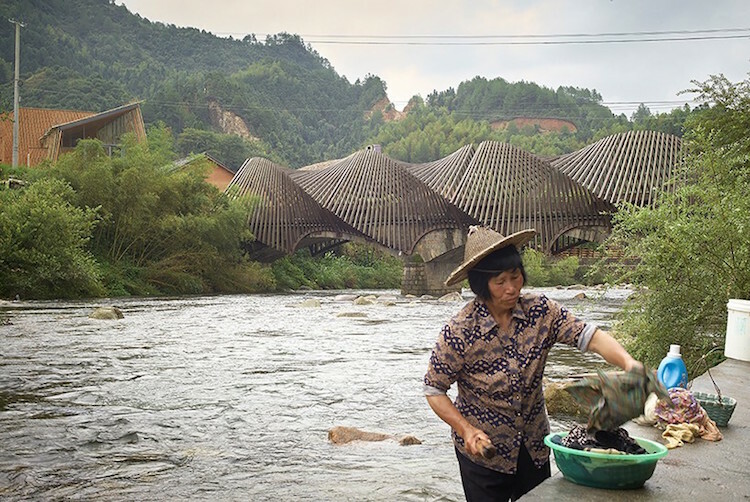 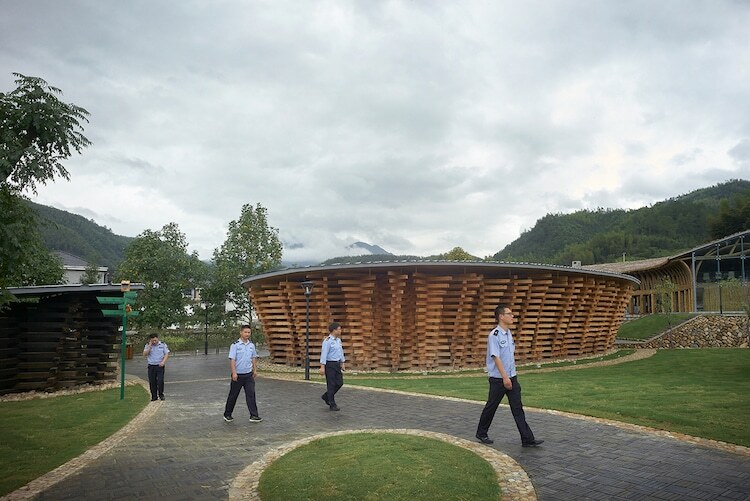 The first International Bamboo Architecture Biennale will leave behind twelve permanent structures in the small mountain village of Baoxi in China. 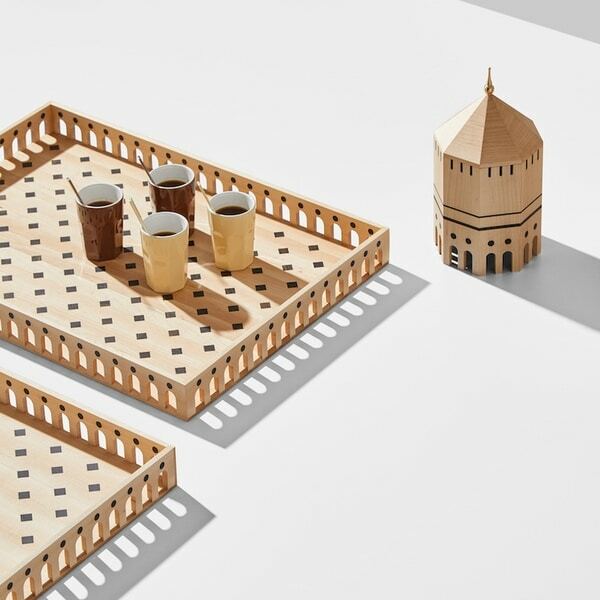 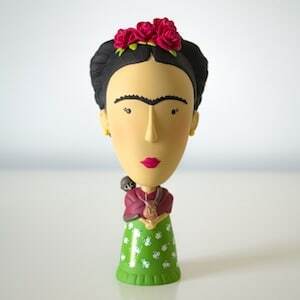 Design hotel by Anna Heringer. 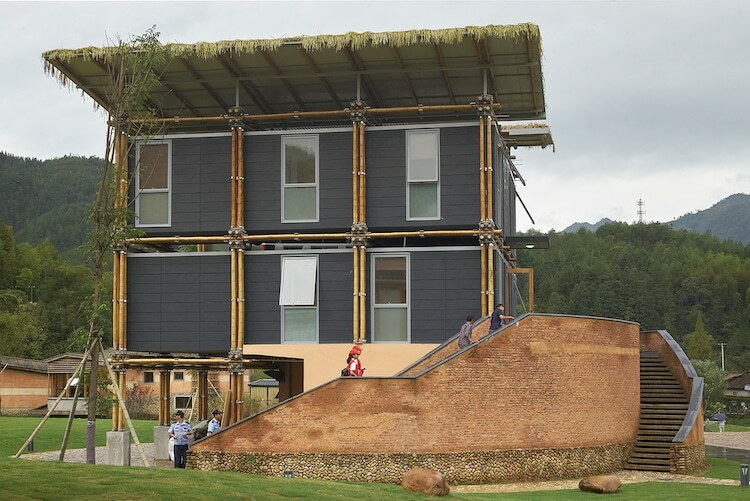 Eco-energy efficient experimental house by Mauricio Cardenas Laverde. 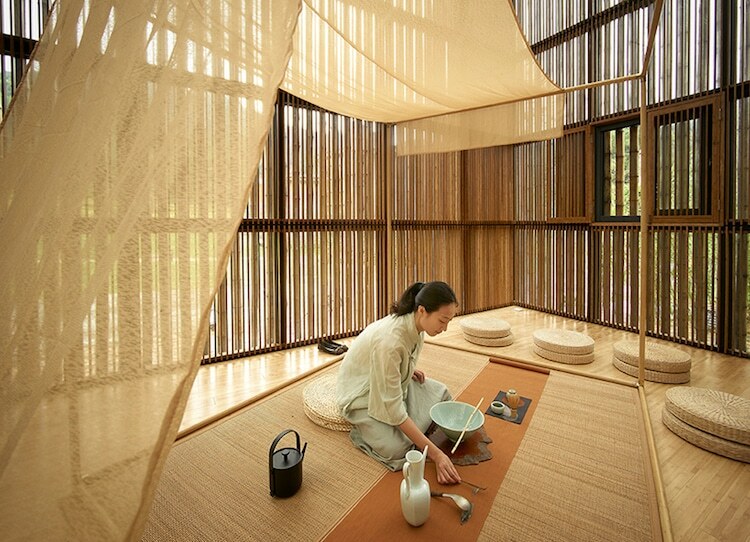 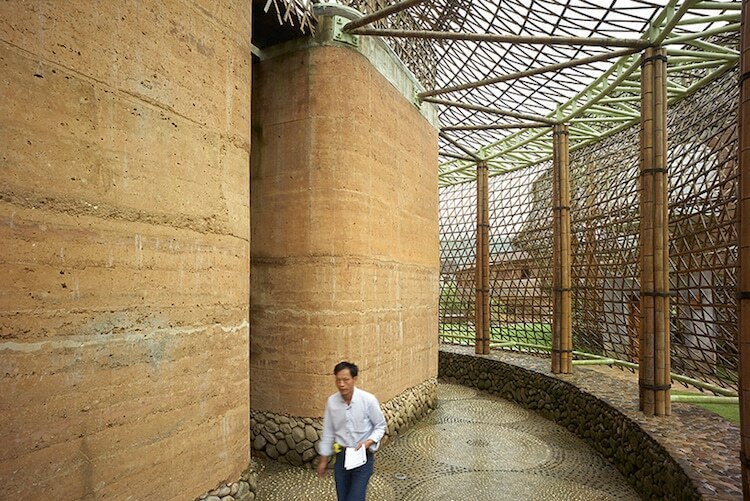 Bamboo product research and design center (interior) by Li Xiaodong. 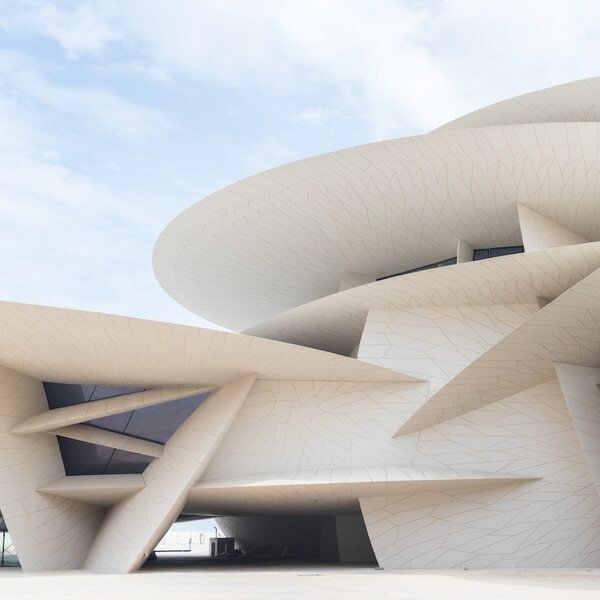 Twelve different architects from nine countries worked on the Biennale, creating everything from a youth hostel to a ceramic museum. 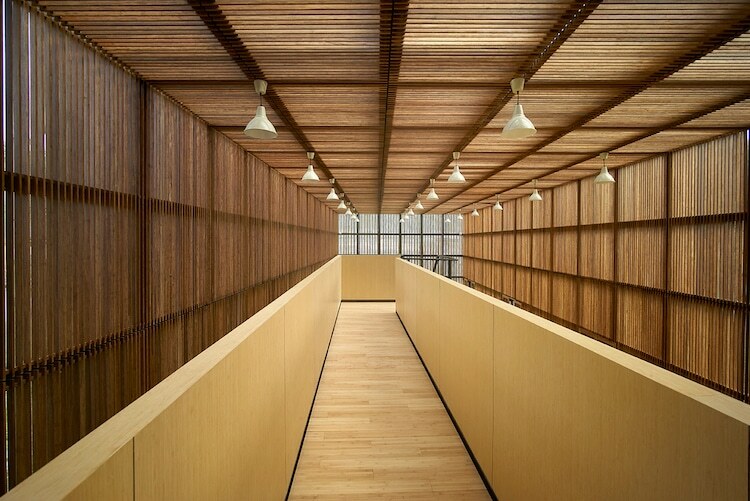 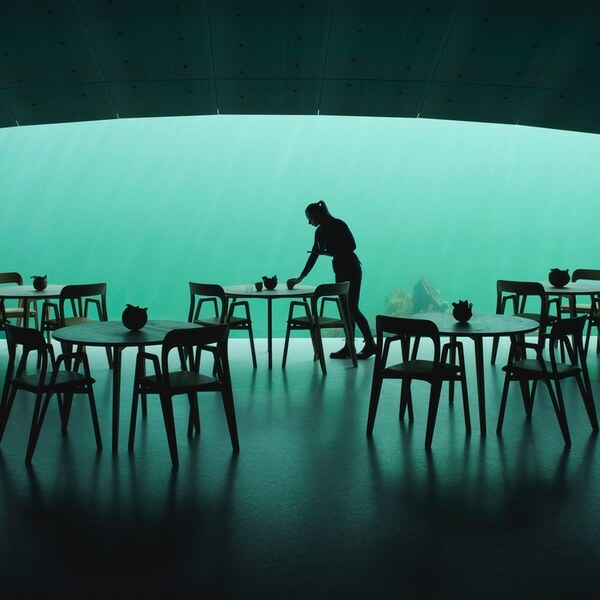 Contemporary celadon ceramic museum by Kengo Kuma. 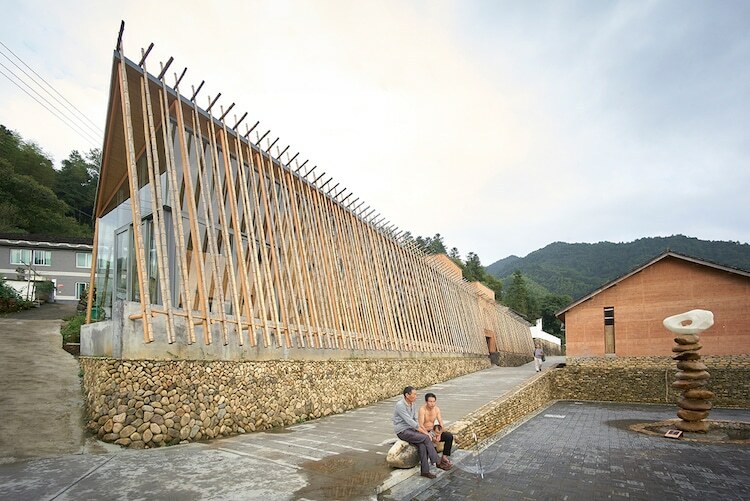 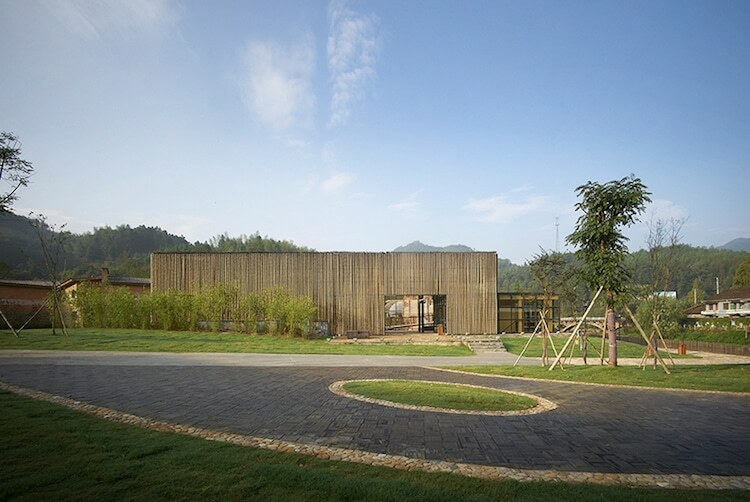 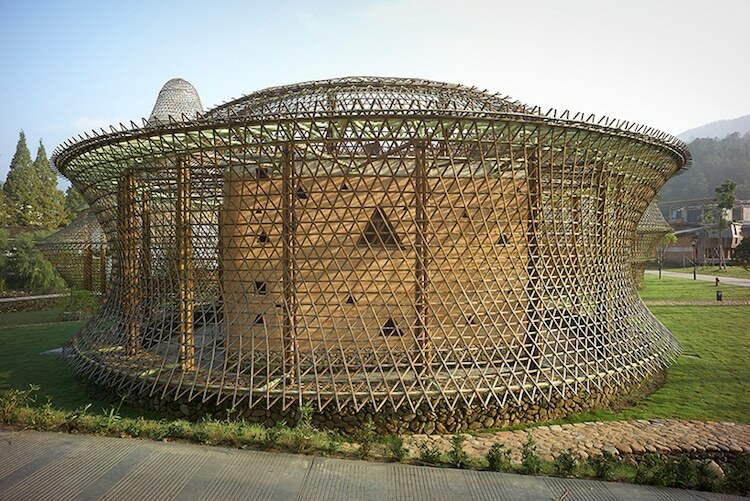 Bamboo product research and design center by Li Xiaodong. 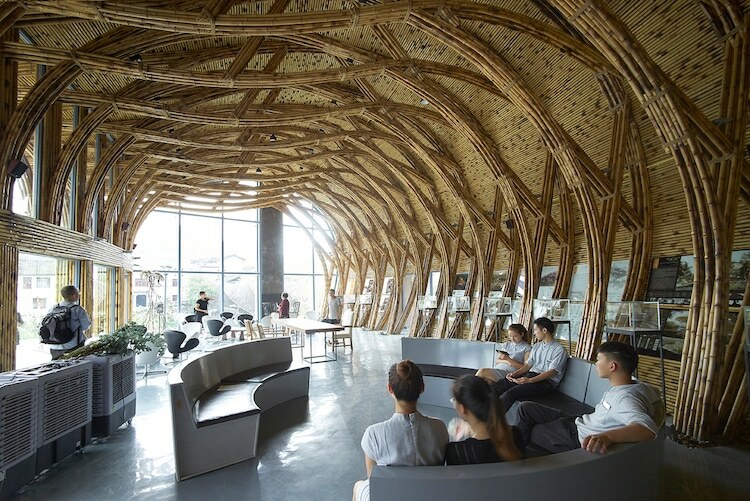 Bamboo has been used in traditional Chinese construction for centuries, but is slowly being phased out in favor of concrete. 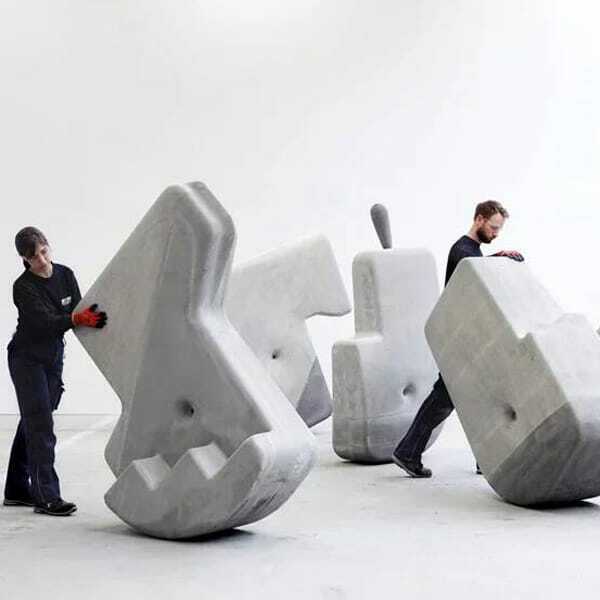 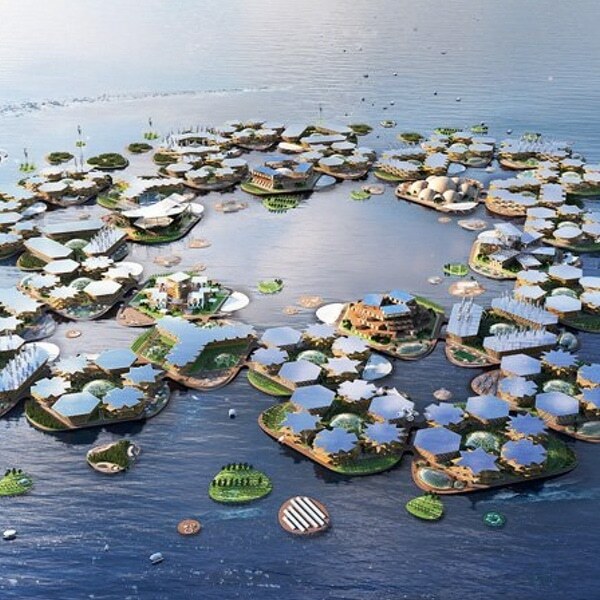 The Biennale shows what is still possible with this sturdy, eco-friendly material. 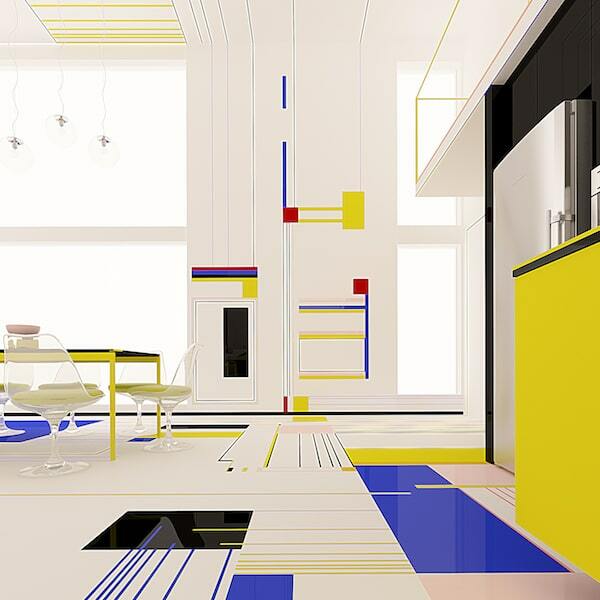 Youth hostel (interior) by Anna Heringer. 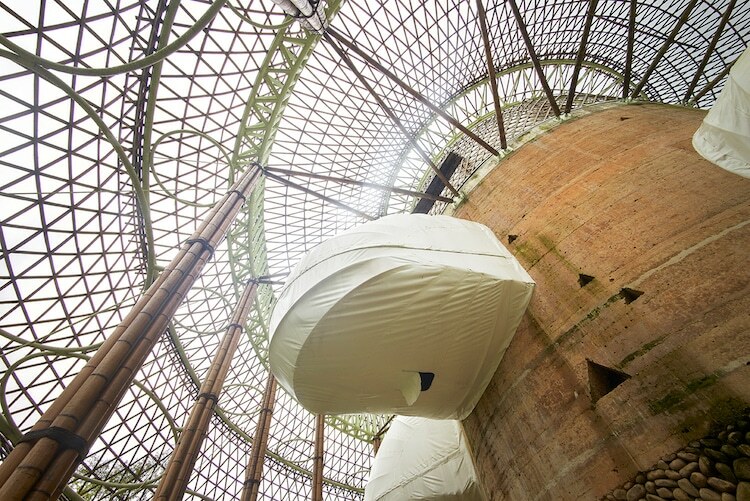 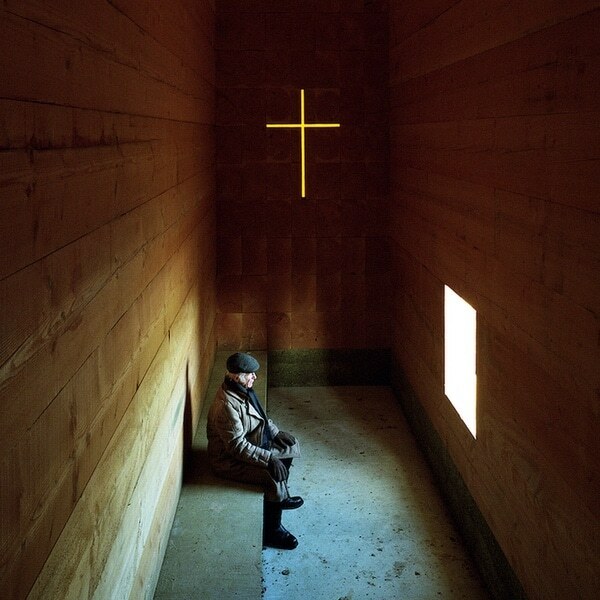 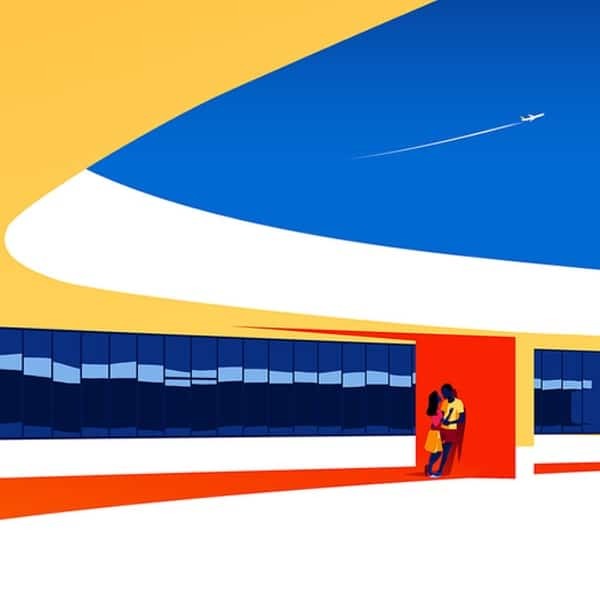 My Modern Met granted permission to use photos by Julien Lanoo.